Welcome to the home of Bluenose Wines. Paul shares his French Canadaian Onion Soup recipe served recently at Wine & Food Affair. Paul Brasset has been employed as winemaker in the Healdsburg area of Sonoma County since 1980 when he helped start Clos Du Bois Winery. Since then his tenure included 13 years at White Oak Winery where the emphasis was on the highly successful Chardonnay program. Most of the vintages made the “Most awarded in America” list and the 1990 won the White Wine Sweepstakes award at the Sonoma County Harvest Fair and came with the "Winemaker of the year" award. During this time Paul was also Consulting Winemaker at Christopher Creek Winery where the 1990 Syrah and Petite Sirah were listed as “The Most Awarded in America” in their categories. After White Oak, Paul went to Pezzi King Winery for five years where the focus was on Cabernet Sauvignon, Merlot and Zinfandels. Chardonnay, Sauvignon Blanc and Syrah were also produced. The 1996 Cabernet was on the James Laube’s Best Value in California Cabernets list. 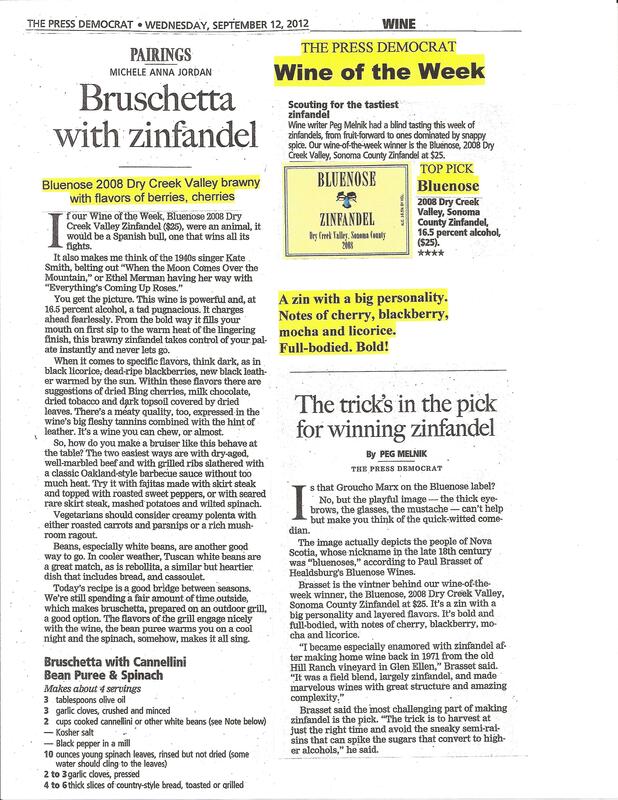 The Wine News declared the Pezzi King 1995 Zin ”Zinfandel of the year” and the ’96 Syrah “Best value Syrah”. While at Pezzi King a dream-come-true job opened up at a new Winery called Roshambo. Paul was hired as winemaker and had the opportunity to help design the facility from the ground up. 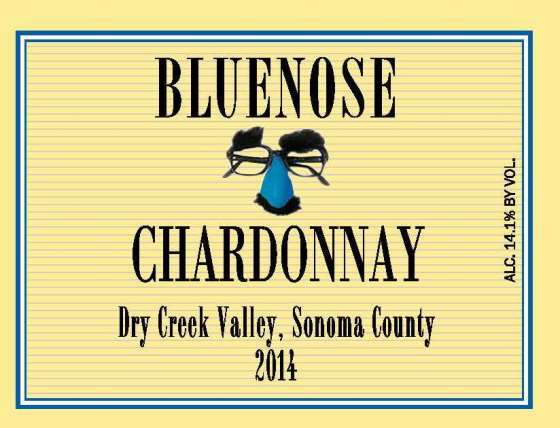 One of the first Chardonnays released earned his second White Wine Sweepstakes award at the Sonoma County Harvest Fair in 2002. In 2003 Paul was hired as winemaker and personal wine advisor to Mr. Sidney Frank (of Grey Goose Vodka fame), which afforded him time to launch the Bluenose brand. 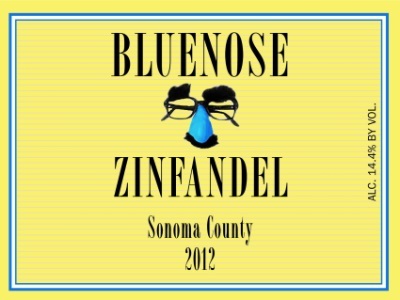 Currently Paul is a Consultant winemaker, which provides more time to pursue his passion for Zinfandel, which is produced under the Bluenose Label. 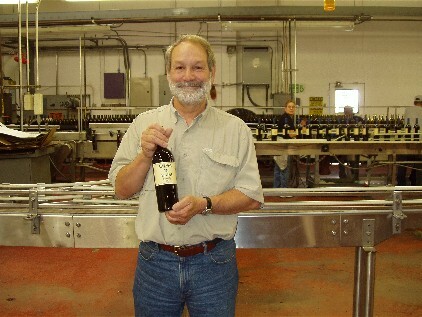 Paul at the 2005 Zinfandel bottling. Visit Paul at 428 Hudson Street, Healdsburg, CA! Call for Information at (707) 799-0884. 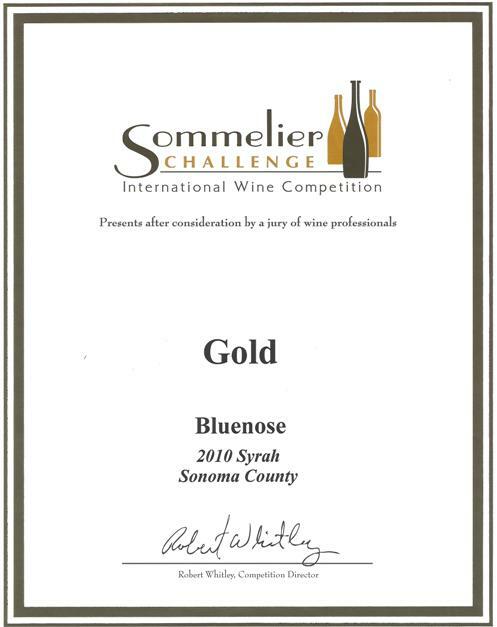 See the story in the Sonoma County Wine Examiner! Vineyards: The fruit in this Zinfandel comes from two excellent vineyards in Dry Creek Valley- Carreras Ranch, an 80 year old vineyard on the Dry Creek Bench, and Leila’s Vineyard in the heart of Dry Creek Valley from Rockpile Road cuttings. Want to visit Wine Country and need a place to stay? Try Fitch Mountain Lookout in Healdsburg.